Looking for speaking opportunities to help you grow your business? FIND SPEAKING GIGS WITH EASE! Stumped for ideas on where to speak? 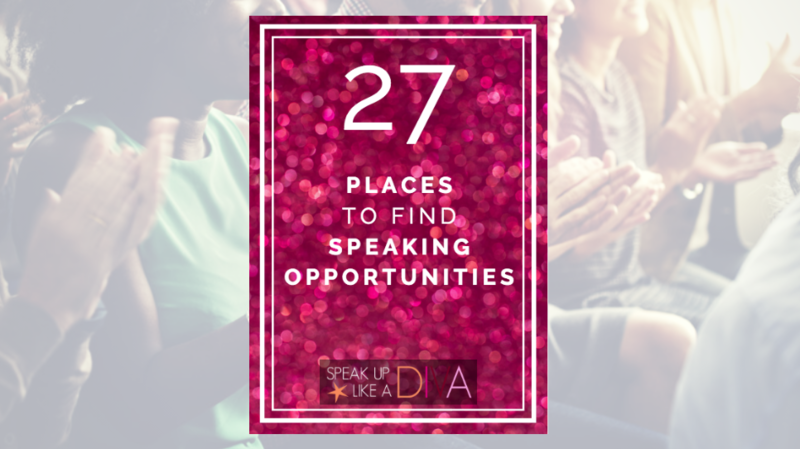 Access this PDF guide with plenty of suggestions on where to look for that next speaking opportunity. This 4-page guide is for you whether you’re a newbie, an intermediate speaker or a pro. You’ll also receive emails from me with helpful information about public speaking. Unsubscribe at any time.